As you can see, the North West is a very proud area of London and it is fair to say it is attracting tourists not only from the same shores, but it is also very big on an international level. As a resident in the area you surely know that cleaning can be a real problem, but this is where London Cleaners comes in. By choosing us you can be sure that you are in safe hands as we supply professional, eco-friendly cleaning services in North West London. By choosing us you will get a dependable, efficient and experienced cleaning company. You get an entire company at your fingertips and we will be with you every step of the way during the cleaning process. When you choose us, we make sure that you are getting the complete service at a very affordable price. Call 020 3397 3245 today and enjoy the benefits! How would you best describe North West London? In 2012 it can be argued that author Zadie Smith summed it up better than anyone else. Within the pages of NW, she described the diverse ethnicities and lifestyles of the region through deep analysis and exploration. North-West London showcases a unique mix of cultures, social classes, and landmark attractions. From the Hampstead upper classes to the Indie followers of Camden town, nowhere else within London’s borders showcase diversity any better than North West London. The North West Region of the capital starts amongst the dense railway line of Euston and trickles down to the Mill Hill streets. Running East to West, it reaches from the luxury properties of St John’s Wood to the traffic induced streets of King’s Cross. 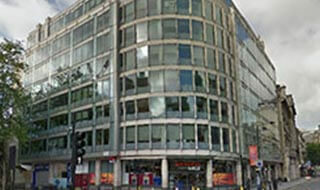 The southern boarder has the busy Marylebone Road and Euston Road has all the hotels to match with any budget available. Around this area are popular attractions such as the British Library and the famous waxwork museum Madame Tussauds. This North West area of the capital heads up north from the dense railway lines of Euston to the streets of Mill Hill, then it is east from the avenues of St John’s Wood, to the streets of King’s Cross. The southern boarder has the busy Euston Road and Marylebone Road has all the hotels to match with any budget available. Around this area are popular attractions such as Madame Tussauds and the British Library. We have highly professional and trained to the highest standards team of cleaners. They know exactly what they are doing and will treat your place and possessions as if they were their own, so you can be guaranteed the highest quality in professional cleaning services. We are not one dimensional cleaning company as we offer a variety of services including commercial cleaning, home cleaning, deep cleaning, end-of tenancy cleaning, carpet cleaning, upholstery cleaning and lots more. Why not pick up the phone now and give us a call on 020 3397 3245? We will be happy to give you a free, no obligation quote for your job. No job is too big, no job is too small for our experienced staff, and our prices are budget friendly and extremely competitive. We have a highly trained customer service team who can work with you and discuss your needs and the professional cleaning services we can offer in order for you to select the one that best suits you. When you choose London Cleaners you are getting the leading and professional cleaning company on your side. You will get a service that is simply unmatched too. If you are looking for a cleaning agency that you can count on to give you work of the very highest standard then look no further, we are the right company for you. Don’t delay, just pick up the phone and book our services today on 020 3397 3245!